Citigroup Global Markets must pay the SEC a $15 million penalty for failing to supervise trades and repay New York customers for investment fee overcharges. Citigroup is feeling regulatory heat from the Securities and Exchange Commission as well as the New York Attorney General’s office. 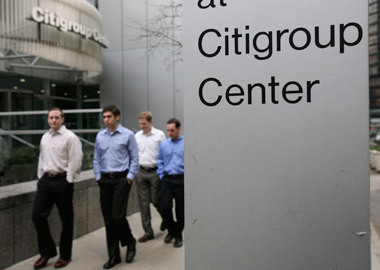 On Wednesday, Citigroup Global Markets agreed without admitting or denying the findings to pay a $15 million penalty to settle SEC charges that it failed to supervise trades for possible misuse of insider information. Citigroup also failed to adopt and implement policies and procedures to prevent and detect principal transactions conducted by an affiliate. The same day, New York Attorney General Eric Schneiderman announced that as a result of an interim agreement with Citigroup Global Markets, more than 15,000 CGMI customers who were overcharged fees on their investment accounts will receive reimbursements totaling more than $4.5 million. Customers were overcharged when CGMI failed to rebate certain customers’ accounts after periods of inactivity when fees should not have been charged, but were. In the SEC case, because broker-dealer employees routinely have access to material nonpublic information, the federal securities laws require every firm to take reasonable steps to prevent the misuse of that information. An SEC investigation found that Citigroup did not review thousands of trades executed by several of its trading desks during a 10-year period. Personnel used electronically generated reports to review trades on a daily basis, but technological errors caused the reports to omit several sources of information about thousands of relevant trades. Citigroup also inadvertently routed more than 467,000 transactions on behalf of advisory clients to an affiliated market maker, which then executed the transactions on a principal basis by buying or selling to the clients from its own account, according to the SEC. In addition to the $15 million penalty, Citigroup agreed to retain a consultant to review and recommend improvements to its trade surveillance and advisory account order handling and routing. The investigation of CGMI in New York stretches back to 2012; that’s when Schneiderman began investigating CGMI after a complaint from a Westchester resident. The investigation has proceeded with CGMI’s cooperation, and will result in the repayment of more than $20 million in principal and interest for fees CGMI overcharged its customers. The investigation previously led to $16 million in principal and interest going back to 31,000 CGMI customers, and now, after uncovering more overcharges, thousands more customers are eligible to get money back, Schneiderman said. — Check out 7 Ways Citi Squeezed Millions of Credit Card Holders, According to the CFPB on ThinkAdvisor.